It’s the middle of April already, and that means two things: tax time, and time for the Aptos Real Estate Market Update for April 2015! The median price for single family homes in Aptos in March 2015 was $870,000 – up 25.5% from a year ago when the median price was $693,000. That’s a huge increase over last year, and also comfortably above the Santa Cruz county median price of $775,000. There were 24 sales of single family homes, which is 26.3% higher than a year ago, because 19 homes sold in March 2014. The homes which sold did so in an average of 76 days – but that includes one home which took 1,065 days to sell. Excluding that one home, homes sold in an average of 34 days. Last year, homes took 70 days to sell on average in this time period. Sellers received an average 98.7% of full asking price in March – up significantly from last year this time, when sellers received only 95.7% of asking price. There are presently 94 single family homes for sale in Aptos, and of those, 44 are under contract to be sold. That works out to be a 1.7 month supply of inventory – which is virtually unchanged (although slightly lower) from the inventory levels of the past couple of months. 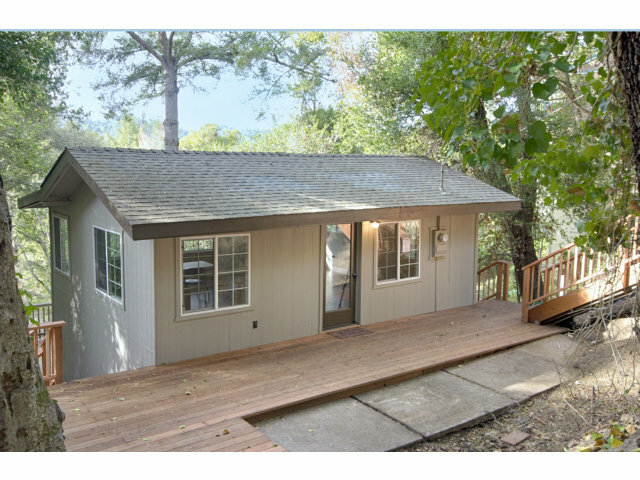 Overall the market in Aptos appears to be in excellent health, and is rated as a strong seller’s market. In fact, Zillow currently rates the Aptos market as very healthy, scoring 9.5 out of 10. 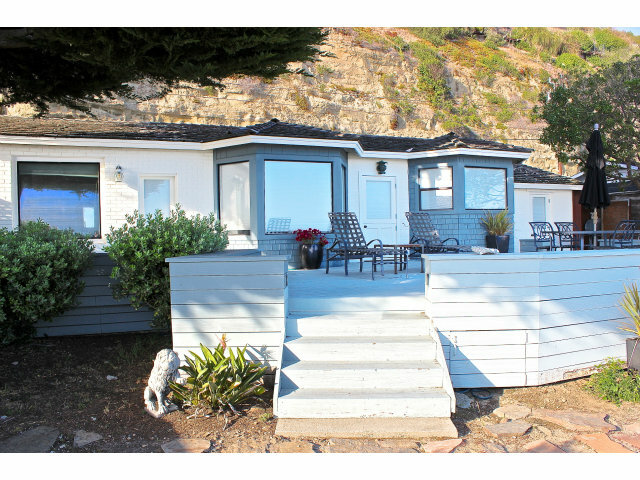 Want the Best Price for your Aptos Home? Why gamble on getting the best price and terms possible when selling your house? Want something more like a sure bet? Then check out this 20 minute webinar on how to sell your home quickly, for the highest price, and with the least hassle, uncertainty, and risk. This is a No BS Webinar on how to Sell your Home – it’s short and to the point, and well worth a few minutes of your time. Let’s turn out attention to the market for condos and townhomes. The median price for condos and townhomes was $522,500 in March 2015 – and that represents a 12.4% increase compared to a year ago, when the median condo price in March 2014 was $457,750. A total of 10 condos sold in Aptos in March 2015, which is a 67% increase in sales compared to a year ago, when just 6 condos sold. The condos which sold did so in an average of 85 days on market – which is slightly faster than a year ago at this time, when condos took an average of 91 days to sell. On average, sellers received 100% of full asking price for their property, considerably better than a year ago when sellers received 98.2% of asking price. At this time, there are 36 condos and townhouses for sale in Aptos, which is a significant rise compared to last month. Of those 36, 12 are under contract – which works out to a 3 month supply of condos and townhouses. While inventory is up, sales are also up, which means the the relative supply of condos and townhouses is unchanged from last month. 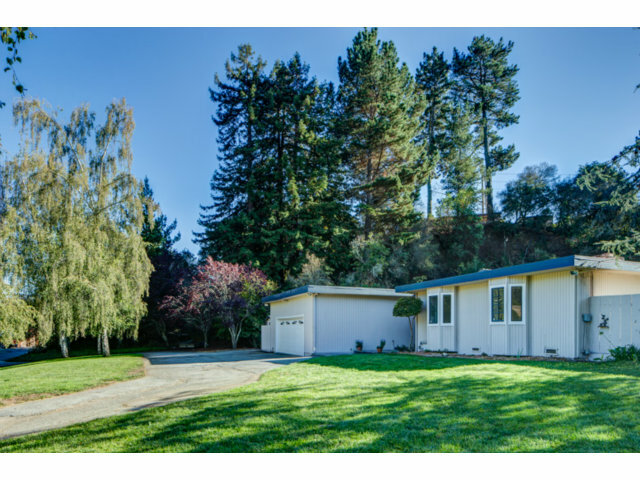 Interested to know what your Aptos house is worth in today’s real estate market? 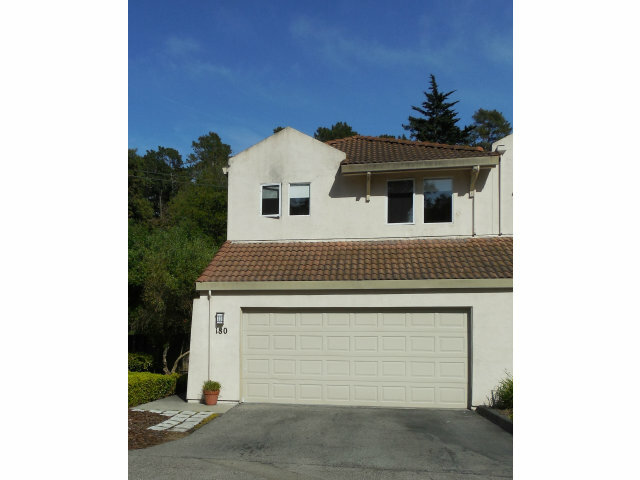 Then head over to SellForSure.com for an instant, on-line evaluation of your Aptos home’s value. Spring has sprung in Aptos! And you know what that means: it’s time for the Aptos Real Estate Market Update for March 2015! The median price for single family homes in Aptos in February 2015 was $706,500 – up 3.1% from a year ago when the median price was $685,000. Aptos is usually comfortably above the county median price, however this month, we barely edged out everyone else, as county-wide, the median price was an even $700,000. There were 17 sales of single family homes, which is 15% lower than a year ago, because 20 homes sold in February 2014. The homes which sold did so in an average of 34 days (vs. 70 days this time a year ago). Sellers received an average 99.3% of full asking price – up significantly from last year this time, when sellers received only 96.9% of asking price. There are presently 93 single family homes for sale in Aptos, and of those, 42 are under contract to be sold. That works out to be a 1.8 month supply of inventory – which is virtually unchanged from the inventory level last month. Our median single family home price isn’t setting any records. What’s more, our prices are now just a blip over the county’s median…so does this mean the Aptos real estate market has cooled down? Not at all. The fact that those 17 homes sold in an average of 34 days, and that sellers received 99.3% of full asking price – and the fact that inventory remains so low adds up to a market where sellers are still very much in the driver’s seat. Let’s turn out attention to the market for condos and townhomes. The median price for condos and townhomes was $435,000 in February 2015 – and that represents a 12.5% decline compared to a year ago, when the median condo price in February 2014 was $497,000. Condo prices tend to be pretty volatile though, as comparatively few units sell in any one month. In fact, just 7 condos sold in Aptos in February 2015, which is a 30% decline compared to last year, when 10 sold. However, let’s look at the other key numbers: the condos which sold did so in an average of 26 days – compared to 103 days on average a year ago. Not only that, condo owners received 100.7% of full asking price – suh-weet! This compares very favorably to last year, when owners only got 97.8% of full asking price. 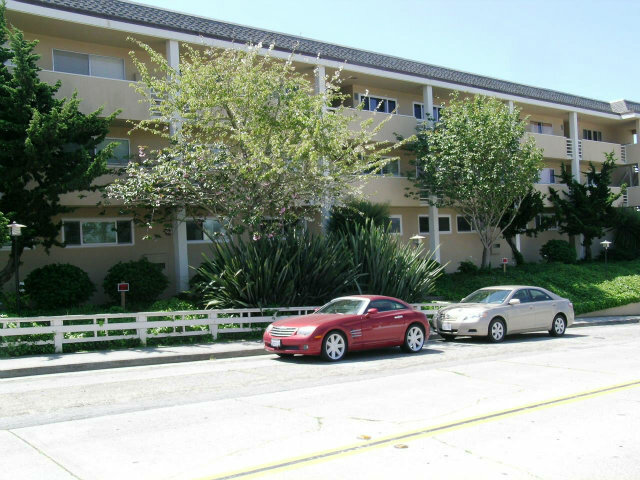 At this time, there are only 27 condos and townhouses for sale in all of Aptos! Of those 27, ten are under contract – which works out to a 2.9 month supply of condos and townhouses…so the condo market isn’t quite as tight as the single family market, but remember, a lot of the available inventory is in the Seascape Resort, which is kind of like a world unto itself. Welcome to February, Aptos! It’s the middle of the month, so that means it’s time again for the Aptos Real Estate Market Update for February 2015. While the overall health of the Santa Cruz county real estate market appears to be quite robust, things are looking a little less sunny in Aptos these days, at least when it comes to real estate prices. The median price for single family homes in Aptos in January 2015 was $740,000 – down 9.5% from a year ago when the median price was a lofty $817,250. Although the median price did drop year over year, it does remain comfortably higher than the county average of $677,500 for the same time period. There were 18 sales of single family homes, a drop of 18.2% from a year ago, as 22 homes sold in January 2014. The homes which sold did so in an average of 72 days (vs. 81 days this time a year ago). Sellers received an average 99.4% of full asking price – considerably better than a year ago at this time, when sellers received only 94.4% of list price. There are presently 93 single family homes for sale in Aptos, and of those, 42 are under contract to be sold. That works out to be a 1.8 month supply of inventory – which is a very low level of inventory. Given the short supply and brisk demand, it is unlikely that home prices in Aptos will continue to fall (much) over the spring and summer selling season. Today, there are presently 21 condos or townhouses for sale in Aptos, but of those, 12 are presently under contract. That works out to just a 34 day supply of condos and townhouses in Aptos. Owners, if you’re thinking it’s a good time to get your Aptos condo or townhouse on the market – you’re right about that! Happy New Year Aptos! Another year has come and gone, and it’s time to start fresh with the Aptos Real Estate Market Update for January 2015. We start the year off not with a bang but a whimper – the market is in some ways still piping hot, with very little inventory available for sale and homes selling quickly. Demand remains strong, especially as compared to inventory…but single-family home prices in December remained flat compared to a year ago. The median price for single family homes in Aptos in December 2014 was $757,000 – down 1.1% from a year ago when the median price was $765,000. The Aptos median price was 7.7% above the median for Santa Cruz County ($702K) in December (which is a gain of 13.9% for the county as a whole, year over year). There were 18 sales of single family homes, which is actually a 22% decrease from a year ago, as 23 homes sold in December 2013. The homes which sold did so in an average of 58 days (vs. 55 days this time a year ago). Sellers received an average 98.5% of full asking price – up a tad from a year ago when sellers received 98.33% on average. There are presently 73 single family homes for sale in Aptos, and of those, 25 are under contract to be sold. That works out to be a 2.9 month supply of inventory – which makes Aptos once again a very solid seller’s market – and then some. Looking at 2014 as a whole, we see that there was a total of 295 sales reported on the MLS (down 4.2% compared to 2013). The least expensive home sold for $130K, the highest sale was $4.5 million, and the median price for all homes sold in 2014 was $750,000. That is up 7.7% for the year as a whole, as the median price for all of 2013 was $695,750. In 2014, single-family homes sold in an average of 62 days on market, and sellers received 97.3% of asking price. The market for townhouses and condos is another matter…there were three times more condo and townhouse sales in December as compared to November. The median price for condos and townhouses was $596,500 – a sharp jump of 17.4% compared to a year ago. Condos sold in an average of 55 days on market, and sellers received 98.12% of full asking price. 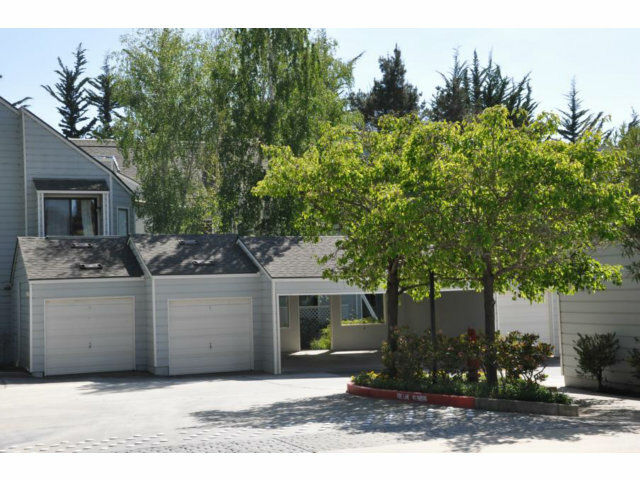 At this time, there are only 18 condos and townhouses for sale in all of Aptos! Of those 18, six are under contract – which works out to just a 3 month supply of condos and townhouses…also a very, very strong seller’s market. Six of those units are located in the Seascape Resort – so excluding Seascape, there’s just 12 condos and townhouses on the market, and of those, 5 are actually under contract…leaving just 7 condos and townhouses available in Aptos proper (outside of the Seascape Resort). Looking at 2014 as a whole, we see that there was a total of 97 sales reported on the MLS (down 16.4% compared to 2013). The least expensive condo sold for $310K, the highest sale was $925K, and the median price for all condos/townhouses sold in 2014 was $498,000. That is up 22.7% for the year as a whole, as the median price for all of 2013 was $432,500. In 2014, condos and townhosues sold in an average of 67 days on market, and sellers received 98.12% of asking price. Hello Aptos and welcome to December! It’s hard to believe – really hard to believe! – that in a scant three weeks we’ll be closing the books on 2014 and moving on to 2015, but I’m told that it’s true and there’s no way to stop it. But before we move on to the future, I have one more Aptos real estate market update for December 2014. The median price for single family homes in Aptos in November 2014 was $791,000 – and that is a 5.6% increase from a year ago. The Aptos market outperformed Santa Cruz county as a whole by a considerable margin, as home prices were up a scant 1.5% county-wide in November 2014. There were 17 sales of single family homes, which is actually a 54.5% increase from a year ago, as only 11 homes sold in November 2013. The homes which sold did so in an average of 31 days (40% faster than a year ago). Sellers received an average 95.36% of full asking price – which is actually pretty low, as year ago, sellers received 98.1% of asking price on their homes. There are presently 92 single family homes for sale in Aptos, and of those, 29 are under contract to be sold. That works out to be a 4.7 month supply of inventory – which makes this still a seller’s market. A few months ago I wrote up a post about 7429 Mesa Drive in Aptos, a custom Mediterranean style home with a pool, guest house, and ocean views. This was a bank-owned REO foreclosure on the market for $1.35 million – it sold, and closed in November, for $1.254 million. A fabulous house which someone will I am sure be very happy to call home (or vacation home, anyway) – but it did need some work. The market for townhouses and condos was pretty quiet in November, with just 3 having sold, and the median price was $485,000. These three condos sold in an average of 91 days, and sellers received 99.9% of full asking price. We can’t really compare this to sales a year ago, because there weren’t sales a year ago – there was just one single sale a year ago, which sold for $495K after 17 days on market, for 100% of asking price. There are presently 30 condos and townhouses for sale on the Aptos market, and of those, 11 are under contract, pending sale. That works out to be a be a four month supply of condos and townhouses – also still very much a seller’s market. It should be noted that of those 30 listings, 8 of them are in the Seascape Resort. It seems like just last week that dawn broke on the new year of 2014, but now we’re already staring at Thanksgiving, right around the corner. And you know what that means: it’s time for the Aptos Real Estate Market Update for November 2014. Last month we reported that the median home price in Aptos had taken quite a tumble, down 16.8% from a year ago. What a difference 30 days makes! The median price for Aptos single-family homes in October 2014 was $774,000 – an increase of 5.7% compared to a year ago, and up 16.3% compared to the month before. Phew! Not only did the home price bump up, sales volume came in higher than normal, with 25 single-family homes having sold in Aptos in October. That’s a 19% increase compared to a year ago, and also a month ago, when 21 homes were sold in both of those periods. The sales-to-list-price ratio remains unchanged: sellers got 98.4% of asking price last month, same as a year ago. Homes sold quickly in Aptos last month, in an average of just 39 days – that’s 51% faster than a year ago, and 20% faster than the county average of 49 days for sold homes in October 2014. You may recall that last month I reported a jump in inventory in Aptos – however, inventory has dropped since then. At this time, there are 103 homes listed for sale in all of Aptos, and of those, 28 are under contract. That works out to just about a four month supply of homes – still, a very good seller’s market. Just five condos/townhouses closed escrow in October, with a median price of $589,000. That’s a 80% increase over a year ago, when the median price was $327,500. Of course, given how few condos sold last month, it’s not a useful measurement of the comparative strength of condo prices last month compared to a year ago, but it’s good link-bait. Condos sold in an average of 79 days, a bit quicker than a year ago when they sold in 81 days. Condo sellers did pretty well too in that they received 97% of asking price for their homes, compared to just 92.1% a year ago. There are presently 30 condos and townhouses on the market, and of those, 7 are under contract with 23 available. That works out to about a 5 month supply of condos and townhouses. Remember, many of those units (11, actually) are in the Seascape Resort, which is kind of a market unto itself. Welcome to Prime Time, Aptos! Kids are in school, tourists are gone, and it’s time to enjoy the the quiet sunny days such as only Aptos delivers as we slip into autumn. As we bid summer a fond farewell, let’s take a quick look at how the real estate market did in the month gone by. The median home price in Aptos in August 2014 was $721,500 – a scant 1.6% increase from the median price a year ago, which was $710,000. This is a 12% drop from last month, however, when the median price was $820,000. The sales volume was low for the summer season: 24 homes sold, a drop of 33% compared to a year ago, when 36 homes sold in August 2013. The sales-to-list-price ratio was decent: sellers received 97.98% of asking price on their homes. Homes sold quickly in August, in an average of 45 days – much faster than last year, when homes sold in an average of 63 days in August. Even though the August median price dropped considerably from what sellers got in July, it still remains a very strong seller’s market in Aptos. There are presently 70 homes on the market, and of those, 32 are under contract. That works out to a 98 days supply of inventory – just a little more than 3 months. When it comes to condos and townhouses, 7 closed escrow in August, with a median price of $420,000. That’s a 9% increase over a year ago, when the median price was $385,000. It took a while to sell your condo last month – condos sold in an average of 93 days on market, and for 97.34% of asking price. The Days-on-Market number is exaggerated a bit by one of the sale sin Seascape, which took 479 days to sell. There are presently 44 condos and townhouses on the market, and of those, 13 are under contract with 31 available. That works out to about a 3.6 month supply of condos and townhouses – which is a big improvement over last month, when there was a 4.5 month supply. It is clearly, once again, a seller’s market for condos and townhouses in Aptos! I bring you good news, my fellow Aptos home owners! The median home price in Aptos in July 2014 was $820,000 – that’s up a healthy 11.56% from a year ago, and up 9.48% from the prior month, when the median price was $749,000. The sales volume was healthy: 35 homes sold, which was the same number as sold a year ago in July 2013. The sales-to-list-price ratio was a little weak: sellers received 96.35% of full asking price on average, compared to a year ago when sellers got 98.18% of full asking price on average. Homes sold in an average of 79 days, a bit longer than a year ago, when they sold in 61 days on average. If you’re looking to sell your home, now is a great time: as of today, there are just 110 homes on the market, but of those, 33 are under contract, meaning just 77 homes are available for purchase. That works out to about 3.5 months worth of inventory – still, a strong seller’s market. When it comes to condos and townhouses, 9 closed escrow in July, with a median price of $686,000 – which represents a big jump of 97% compared to a year ago, when the median price was $348,500. It should be noted, though, that a lot of units which sold in July were ocean-view condos located along Rio del Mar Boulevard. There are presently 48 condos and townhouses on the market, and of those, 12 are under contract with 36 available. That works out to about a 4.5 month supply of condos and townhouses – still a seller’s market, and a better market for sellers than the previous month, when there was a 5.5 month supply of inventory. 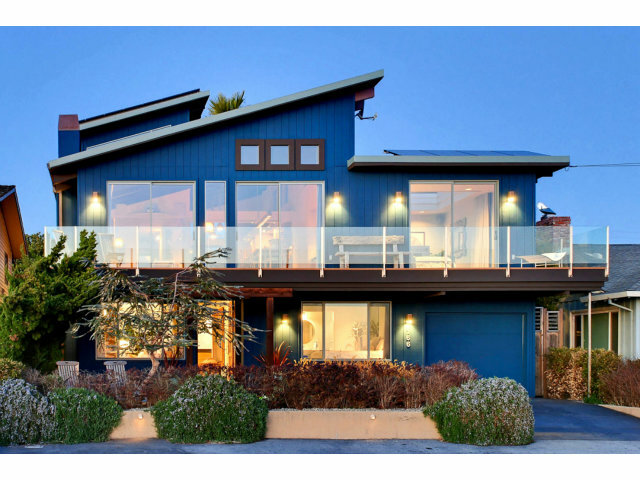 Interested to know what your Aptos house is worth in todays’ real estate market? Then head over to AptosHomeValues.com for an instant, on-line evaluation of your Aptos home’s value. The median home price in Aptos in June 2014 was $749,000 – that’s up a healthy 13% from a year ago…but it’s down 18% from the previous month, when in May 2014 the median price was $914K. But last month was an exceptional month, when about half the homes sold over $1 million. The sales volume was good: 29 homes sold, down about 9.4% compared to a year ago when 32 homes sold in June 2013. The sales-to-list-price ratio was a little weak: sellers received 97.43% of full asking price on average, compared to a year ago when sellers got 98.09% of full asking price on average. Homes sold in an average of 53 days, a bit longer than a year ago, when they sold in 48 days on average. If you’re looking to sell your home, now is a great time: as of today, there are just 118 homes on the market, but of those, 40 are under contract, meaning just 78 homes are available for purchase. That works out to just shy of 3 months worth of inventory – still a very strong seller’s market. Enter our Hula for History Contest – win two free tickets to attend the gala event, August 8 2014! When it comes to condos and townhouses, just 5 closed escrow in June, with a median price of $550,000 – which represents a jump of 50.9% compared to a year ago. However, that is a skewed number, since last year a lot of low-income housing units were sold on Canterbury Drive down in Seacliff. Condos sold in an average of 23 days, with a sales-to-list-price ratio of 27.6%. There are presently 47 condos and townhouses on the market, and of those, 10 are under contract with 37 available. That works out to about a 5.5 month supply of condos and townhouses – still a seller’s market, but almost to the point of being a balanced market.